A coat of white chalk paint, then Duck Egg on the seat. On the bottom of the legs I painted more Duck Egg for a "dipped" look. 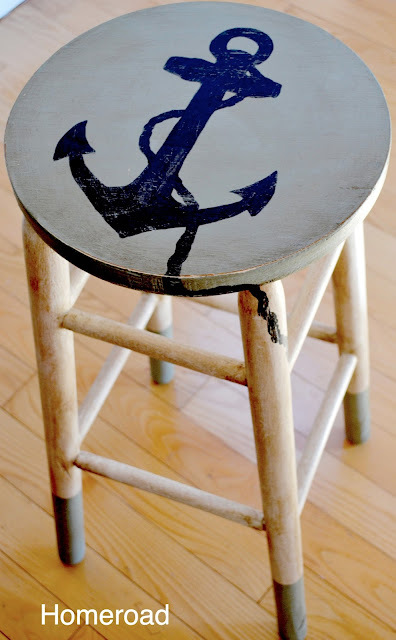 I hand painted an anchor silhouette on the seat followed by a coat of clear wax and a coat of dark wax to give the stool an aged look. Nice! 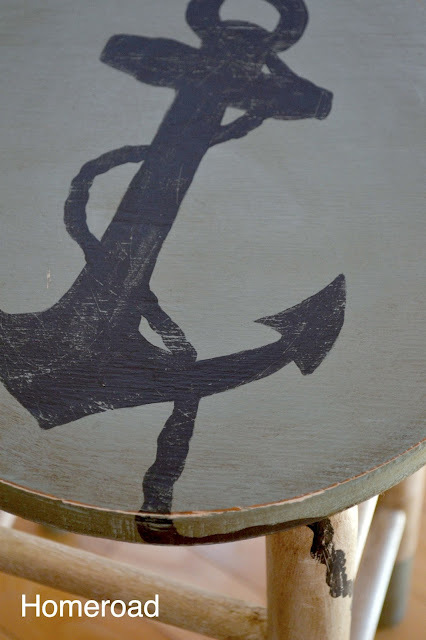 Love all nautical at the moment! Ooooooooooh, love it! 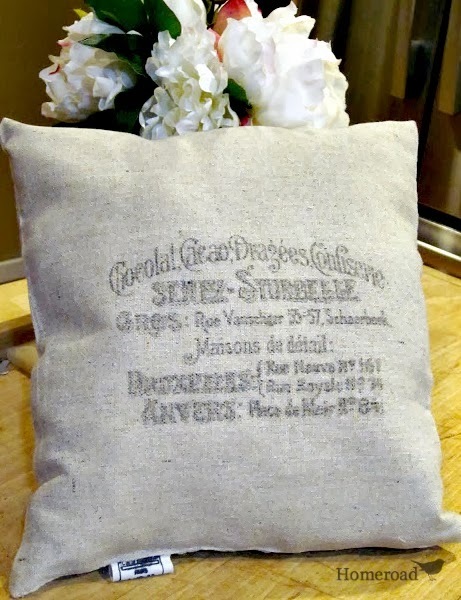 I totally would have grabbed it for my beachy porch! I see a lot of the dipped leg effect on Pinterest. Nautical seems to be the "In thing" in my area. That's so cool that it went to a Navy man! Hey there!!! 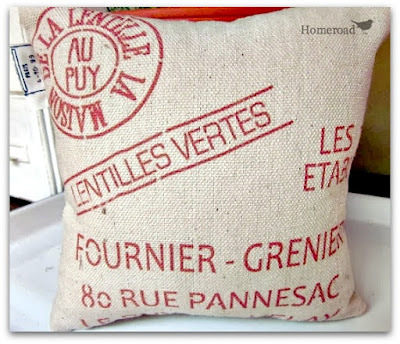 Catching up on your blog this morning. 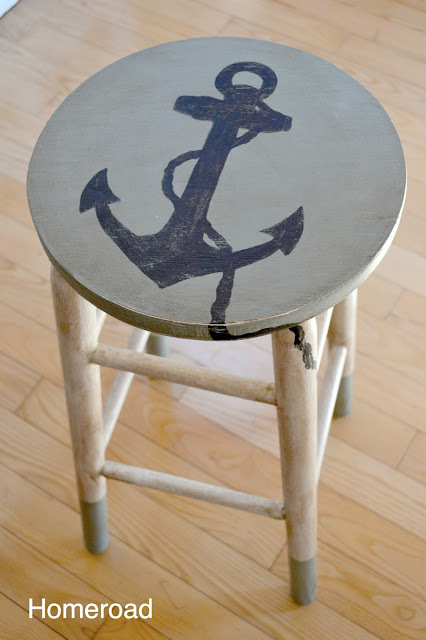 When I saw this stool, I thought about a blog I follow called Inspiration Avenue. The theme this week is nautical. You out to link this to that party. Hope all is well. Have a great week ahead! 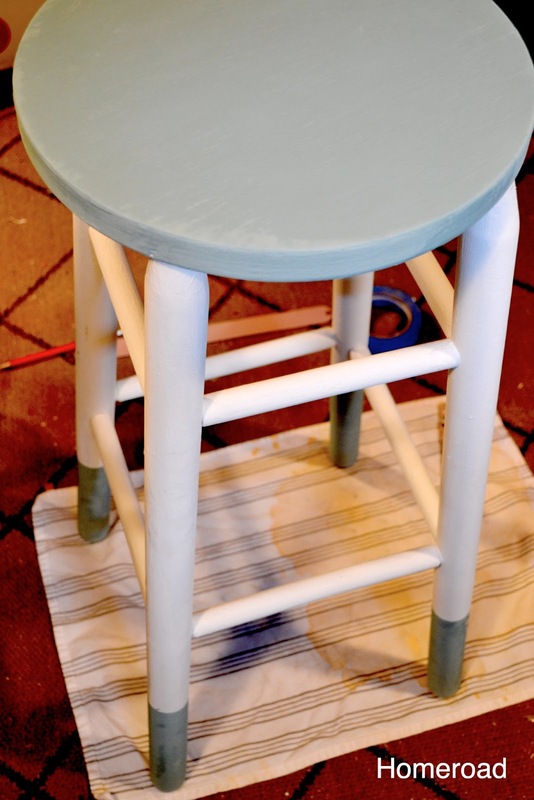 HEY IS Shel from Inspiration Ave. Love your stool so perfect and fitting!!! A wonderful idea to paint an anchor on the stool. The colour of the background is so right, makes me think of battleship grey. I do love the way the anchor rope falls gracefully down to the leg of the stool. Thanks for sharing your artistic stool! It belongs with a navy man for sure.